I think this is an amazing book! Not only is it respectful, but true! So many children get pulled in with drug problems with such young age every year! I think , no, I know it is a serious problem. 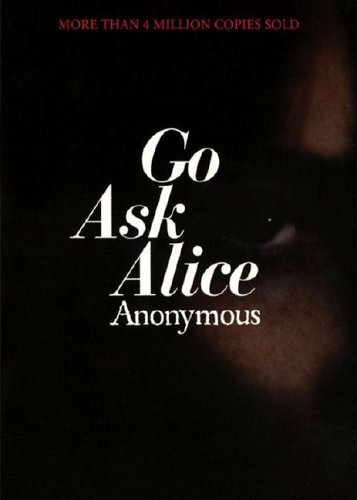 When you read "Go ask Alice" you can feel how it is and "know" what it is like and must feel like, although you never had any. The worsed isnt doing it, but not being able to stop. This is one amazing and stunning book about the truth and how teenagers can get in conflicts with drugs which leads to ...problems! I suggest this book is read by everone, nomatter how olod or young. Everyone should be aware of the consiquences and it should be shared. Wouldnt you want to know what could ruine your life? So go... ask alice!